Earlier this year, I shared my adventures as a #SiennaDiaries blogger. We loved the 2014 Toyota Sienna from hood to trunk, and honestly, if a new vehicle was in my budget, the Sienna would be it. Toyota reaching out to me the other day to tell me about the all new 2015 Toyota Sienna release. This sleek minivan is loaded with new features and plenty of the old favorites, definitely living up to its title of the #SwaggerWagon. Driver Easy Speak makes it easy for parents to speak to kids in the back row, using the vehicle’s built-in microphone to amplify the driver's voice through the rear speakers. The dual-view, Blu-ray rear seat entertainment system allows each passenger to have a choice between movies and video games. It comes with a pair of Bluetooth headsets and remote controls. Capacitive switches on the optional seven-inch touchscreen allow users to swipe items on and off. It’s also customizable to place selected features on the home screen, such as music channels, available Driver Easy Speak and optional navigation. Awesome right? Who hasn't wished we could be heard over the kids in the backseat before? That would be a heavily used feature in my house, and worth its wait in gold! Toyota has teamed up with some of the Internet's most imaginative parents to help spread the word about the #SwaggerWagon and its features. I love this fun video from Matthew Clarke of Convos with My 2-Year-Old. 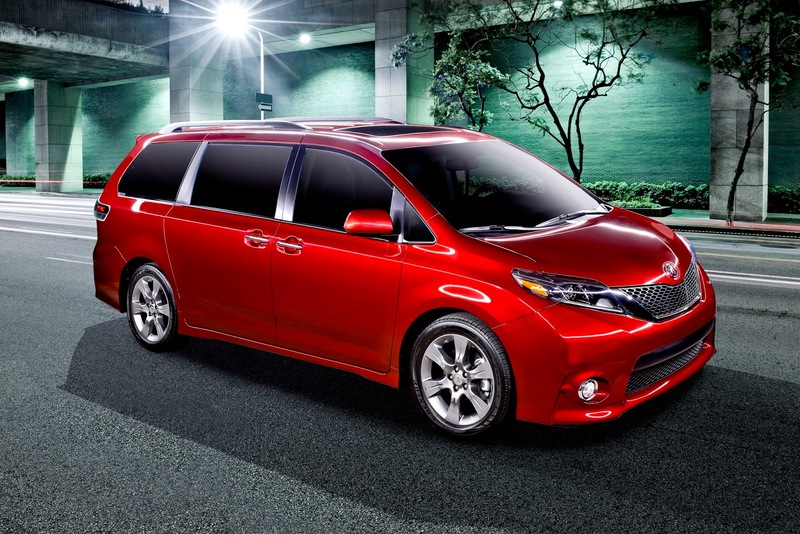 What do you think of the new 2015 Toyota Sienna? Yes, I love this that red is awesome. I love the new body style – such a welcome change from the old one. That Driver Easy Speak sounds like a very innovative feature. That feature where you can speak to the back row without having to turn around and holler to be heard is pretty awesome! Swagger Wagon - I love it! We don't have much need for a large vehicle at this point, but I sure could use one next month when we take our daughter to college. The cargo space in a van like this would be my favorite thing. This looks like a nice vehicle to have for sure. I love how much room this offers for family members. The built in speaker system for the driver to talk to the person in the back of it is a nice feature. I plan to give the new Sienna a test drive! I can't wait until the day I can buy me a Sienna! I love all the room in the Toyota Sienna. It is perfect for my camping trips. The new Sienna certainly looks like it is full of swag! I can definitely picture myself using the Easy Speak to tell the kids to keep their hands to themselves. It would be nice not having to yell. I drive a mini-van and with kids in the third row on a daily basis, I know how impossible it is to carry on a conversation with them all the way back there. The microphone is a great feature.